Combining academic and practice-based research to explore the notions of 'exile' and 'archive' with creative arts practitioners. Jessica Dubow was awarded £200,000 AHRC Speculative Grant for an interdisciplinary project entitled Archive of Exile. As Principal Investigator, Jessica worked with Dr Richard Steadman-Jones and Dr Frances Babbage from the Department of English at Sheffield. The academic research team collaborated with three creative practitioners (Eve Beglarian, a New York-based sound and musical composer, Pam Skelton, a video installation artist and senior lecturer at London’s Central Saint Martins College of Art and Design and Hannah Fox, a theatre and performance practitioner). The project was further supported by the work of the ‘Sheffield Exile Group’, a cross-faculty and interdisciplinary network established and headed by Professor Martial Staub (Department of History, Sheffield). Through a combination of academic and practice-based research, the Archive of Exile explored the theoretical and creative possibilities of two apparently contradictory concepts: ‘exile’ (understood as a mode of thought informed by radical spatial mobility) and the ‘archive’ (figured as a key institution of a national or territorial political imaginary). How might the domesticated and sedentary nature of the archive be redefined by the practice of thinking ‘out of place’? What might an archive of exile be like? What kinds of new epistemic, aesthetic, and methodological forms might it entail? In posing these questions, the project opened an approach that is not only more dynamic than existing work in the fields archive and memory studies. It posed the idea of exile as itself a new paradigm for intellectual thought and creative practice. 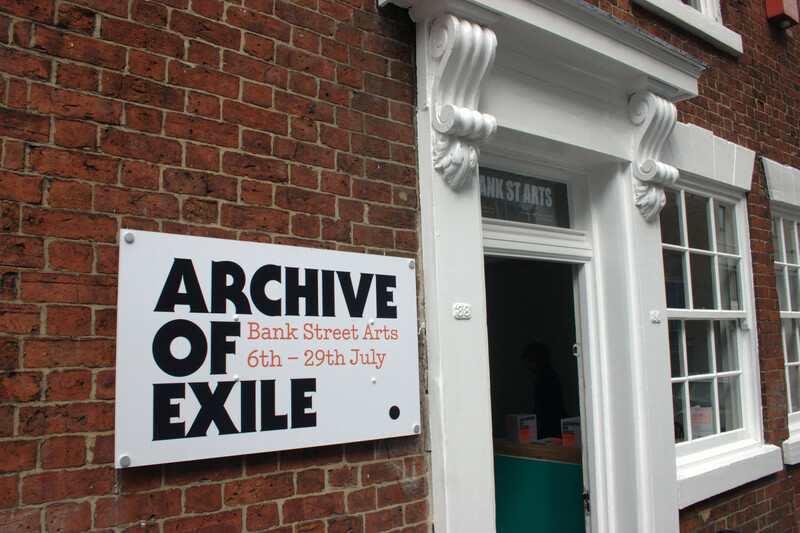 The outcomes of the Archive of Exile, represented through the inter-relationship of art and scholarship, spoke both to academic research community and a broader public.